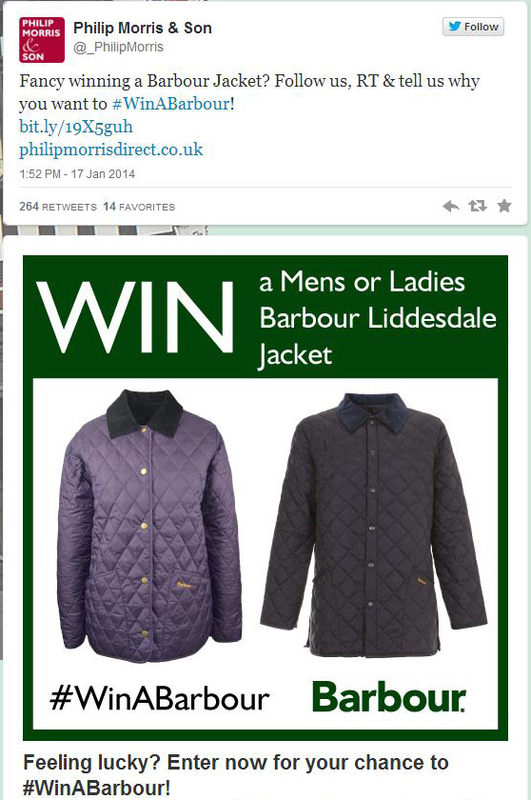 Home Clothing WIN a Barbour Liddesdale Jacket in our Twitter Competition! To help you beat those January blues, we are currently running a Twitter Competition to win a Mens or Ladies Barbour Liddesdale Jacket. Click on the images or go to the competition page for full details of how to enter & T&C’s. Competition Closes Friday 31st January 2014 at 23.59. Jacket RRP £89.95. barbour, Barbour jacket, Barbour Liddesdale, Competition, Contest, Free Barbour Jacket, Giveaway, Prize, Twitter, Twitter Competition, Win, Win a Barbour, Win a Barbour Jacket. Bookmark.